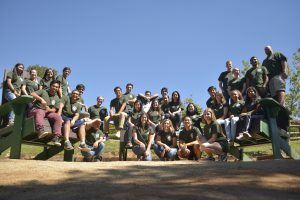 Undergraduate students find a home in this extremely welcoming and diverse community, whose primary ministry is to serve the spiritual and social needs of the students at UCSD. We invite you to join us. All are welcome to experience Christ’s presence in Word, Eucharist, and one another. All are invited to celebrate at one or both Sunday Masses at the Newman Center, Monthly On-Campus Mass, and once a quarter at Sunset Mass at Scripps Coastal Reserve overlooking the beautiful Pacific Ocean. There is Daily Mass Tuesday to Friday at the Newman Center and Tuesday through Thursday at CES. Check out Mass Times for all times and locations. Students are you looking to make new friends while deepening your faith knowledge? The CLC (Christian Life Community) committee hosts a relationship speaker series on Wednesday at 8:00pm at CES (Even Weeks of Quarter)! Contact Annmarie or Florence for more info! XLT is short for eXaLT. It combines contemporary worship music with prayer before the Blessed Sacrament. All are invited to come on Wednesday (odd weeks of the Quarter) to the Center for Ethics and Spirituality (CES) for an evening filled with prayer, music, reflection and fellowship! Want an inexpensive home cooked meal for only a $1? Then join us at the Center for Ethics and Spirituality (CES) every other week starting week 1 of each Quarter for Thursday Night Dinner. Check Newman News or Facebook for our next dinner. You can even help prepare the meal! All students are invited to join the Crazy Catholics, our intramural sports team. The sport varies from quarter to quarter, but the fun is all year long. Stay tuned to the Newman News, Facebook, or Mass announcements for team updates. CLC stands for Christian Life Community. CLC’s are small faith sharing groups that are based on three pillars: community, spirituality, and service. We follow the inspiration of St. Ignatius of Loyola, founder of the Society of Jesus (Jesuits). Thus, we are part of a worldwide body of small faith communities, present in almost 60 countries around the world. At the beginning of Fall Quarter, all students are invited to join us to meet new friends and form a great community! 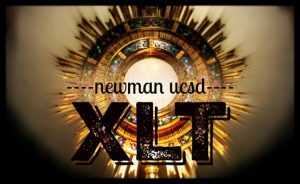 At this retreat, meet new friends and experience a community of fun, faith, and friendship; take time to reflect and pray about your hopes and desires for college; meet student leaders, who truly care about you and want to support you in your transition to UCSD; and find out what the Newman Center offers. 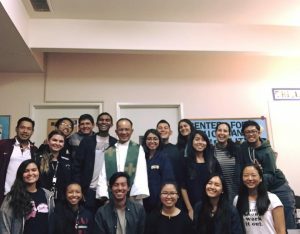 Kyrie Eleison was founded in 1994 as a Korean Catholic Community and has branched out over the years. Today, we welcome all students to be a part of our fellowship and share our love for God together. We foster spiritual growth for students seeking faith, identity and fellowship within the Catholic Church.